The Wild Pollinator and Farm Wildlife Package: Westgrow Ltd growers are reliant on pollinators for the success of their fruit crops and with farmers in the wider catchment will work to increase opportunities for Wild Pollinators in such a way that will also be of benefit to the farmer. The ’audit will build on existing habitat maps (e.g. FER/FEP maps) and identify opportunities for connectivity and enhancement and will include options such as sowing nectar flower mixes, enhancing species diversity in existing grassland including existing buffer strips, year round food supply for insects and birds, shelter and nest sites. Building on existing relationships and working with land managers in the broader catchment to create active Integrated Pest Management (IPM) Plans with cost benefit analyses which will be shared at training events. Assessment of hedgerow species diversity and quality of management, trees in hedgerows both from a landscape value and biodiversity value. Recommendations where applicable for applications for capital works funding. 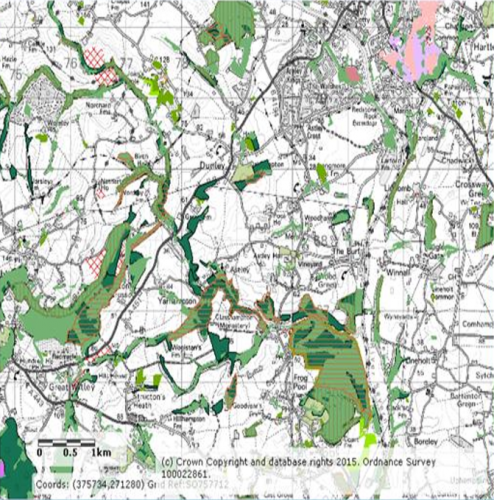 The provision of high quality advice to enable tailored management of priority habitats and species Traditional Orchards and Woodland : enhance and promote management, expansion and connectivity.